After an early academic training in the Toulouse academy he went to Paris in 1796 and was a fellow student of Gros in David's studio. He won the Prix de Rome in 1801, but owing to the state of France's economy he was not awarded the usual stay in Rome until 1807. In the interval he produced his first portraits. These fall into two catagories: portraits of himself and his friends, conceived in a Romantic spirit ( Gilibert , Musée Ingres, Montauban, 1805), and portraits of well-to-do clients which are characterized by purity of line and enamel-like coloring ( Mlle Rivière , Louvre, Paris, 1805). These early portraits are notable for their calligraphic line and expressive contour, which had a sensuous beauty of its own beyond its function to contain and delineate form. 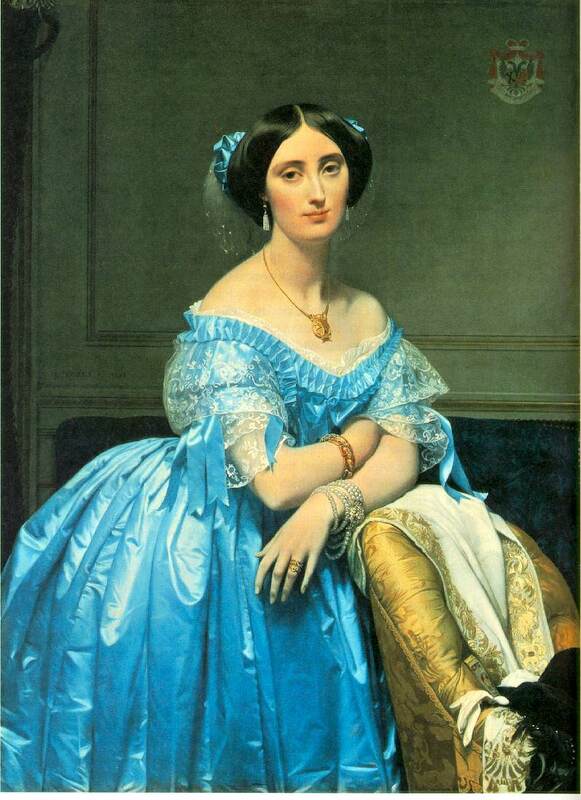 It was a feature that formed the essential basis of Ingres's painting throughout his life. 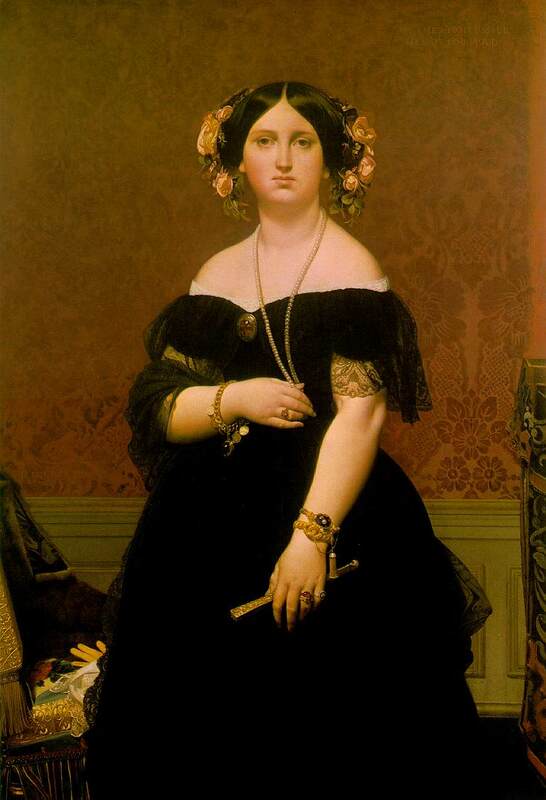 Ingres stayed in Paris for the next ten years and received the official success and honors he had always craved. 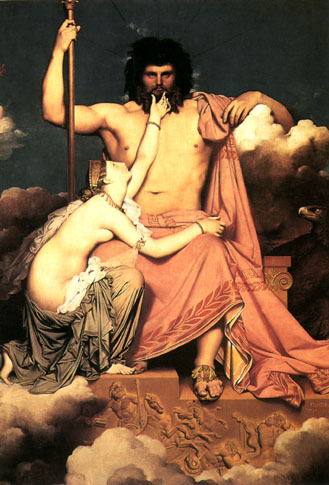 During this period he devoted much of his time to executing two large works: The Apotheosis of Homer , for a ceiling in the Louvre (installed 1827), and The Martyrdom of St Symphorian (Salon, 1834) for the cathedral of Autun. When the latter painting was badly received, however, he accepted the Directorship of the French School in Rome, a post he retained for 7 years. He was a model administrator and teacher, greatly improving the school's facilities, but he produced few major works in this period. 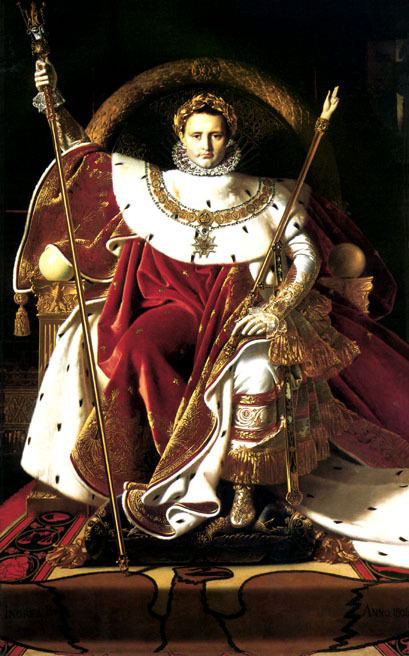 In 1841 he returned to France, once again acclaimed as the champion of traditional values. He was heartbroken when his wife died in 1849, but he made a successful second marriage in 1852, and he continued working with great energy into his 80s. One of his acknowledged masterpieces, the extraordinarily sensuous Turkish Bath (Louvre, 1863), dates from the last years of his life. At his death he left a huge bequest of his work (several paintings and more than 4,000 drawings) to his home town of Montauban and they are now in the museum bearing his name there. 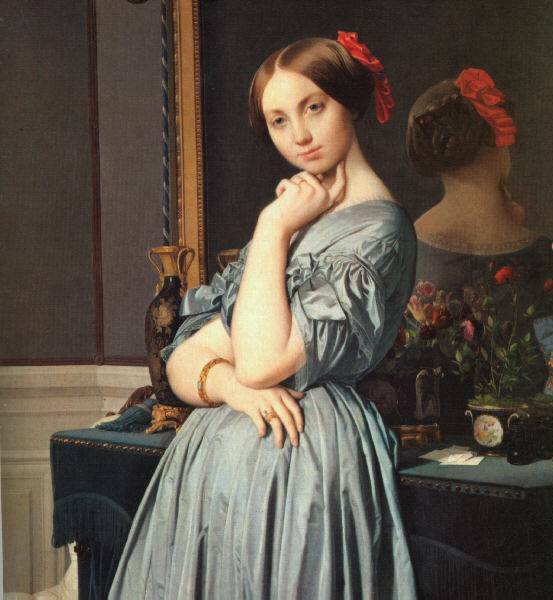 Ingres is a puzzling artist and his career is full of contradictions. Yet more than most artists he was obsessed by a restricted number of themes and returned to the same subject again and again over a long period of years. He was a bourgeois with the limitations of a bourgeois mentality, but as Baudelaire remarked, his finest works `are the product of a deeply sensuous nature'. The central contradiction of his career is that although he was held up as the guardian of Classical rules and precepts, it is his personal obsessions and mannerisms that make him such a great artist. 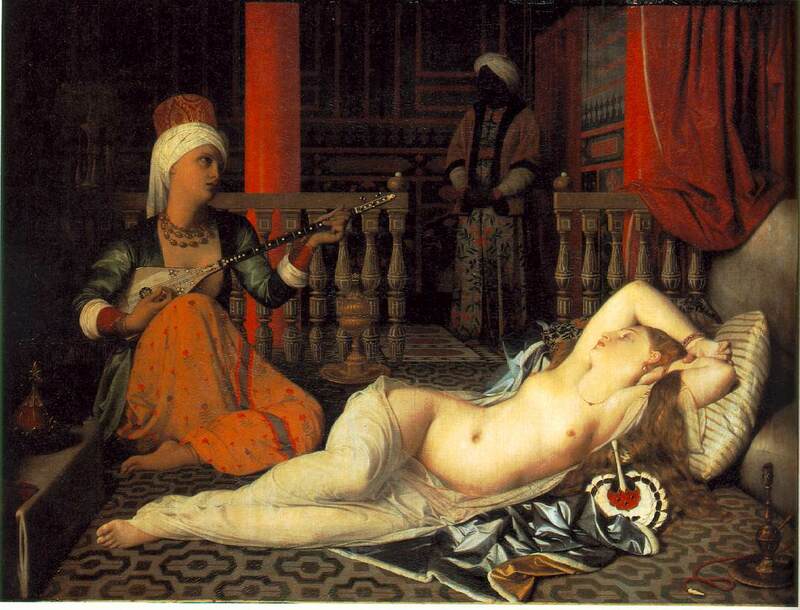 His technique as a painter was academically unimpeachable--he said paint should be as smooth `as the skin of an onion'--but he was often attacked for the expressive distortions of his draughtsmanship; critics said, for example, that the abnormally long back of La Grande Odalisque (Louvre, 1814) had three extra vertebrae. 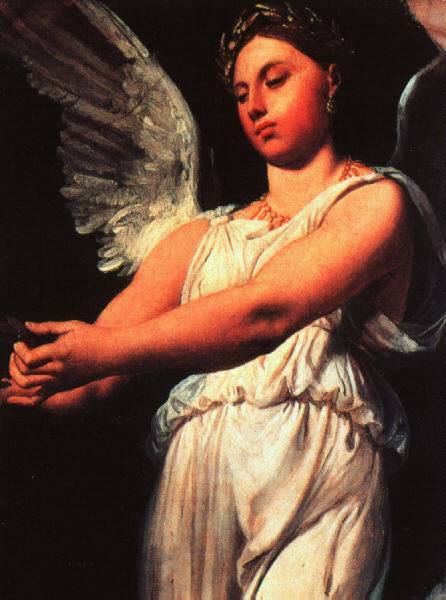 Unfortunately the influence of Ingres was mainly seen in those shortcomings and weaknesses which have come to be regarded as the hallmark of inferior academic work. He had scores of pupils, but Chassériau was the only one to attain distinction. As a great calligraphic genius his true successors are Degas and Picasso. 1851 (80 Kb); Oil on canvas, 146.7 x 100.3 cm (57 3/4 x 39 1/2 in); The National Gallery of Art, Washington, D.C.
Photographs by Brian Yoder, Mark Harden and Carol Gerten-Jackson.